Handbook provides hands-on instructions for implementing INNOVATION LITE tactics in your own organization. 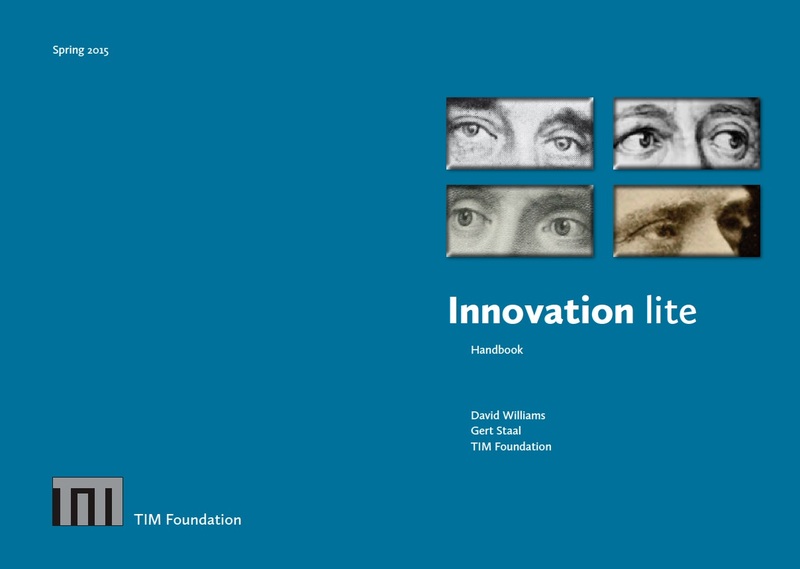 The handbook is also a valuable reference publication with direct links to the TIM Foundation’s entire body of knowledge (the TIM Foundation standards core set, additional publications and toolset), and contains sample templates for use. What is INNOVATION LITE ™? INNOVATION LITE ™ covers the 3 phases of the innovation cycle, Front-End (Discovery), Middle (Development) and Back-End (Deployment). In addition the 6 elements of innovation management (Culture, Leadership, Resources, Processes, Monitoring & Measuring and Improvement) are reviewed as to their relationship to innovation. Or find out more about the Innovation Matury Model here.